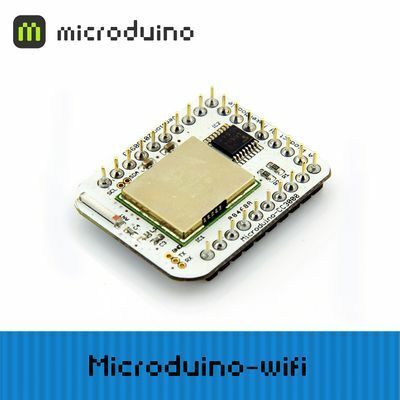 Microduino-CC3000 is a well-equipped wireless network module, which simplifies the implementation process of Internet connectivity. SimpleLink ™ Wi-Fi can significantly reduce a host microcontroller (MCU) software requirements, making it ideal for using in any low-cost and low-power MCU solution of embedded applications. 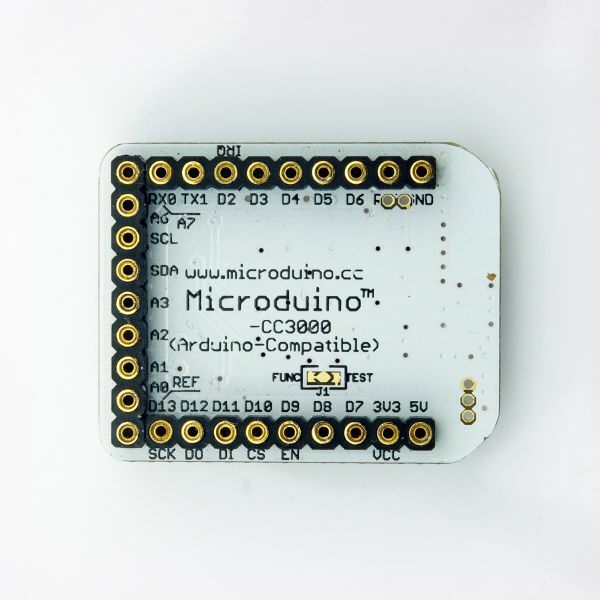 Define unified interface Microduino specification and contain rich peripheral modules. 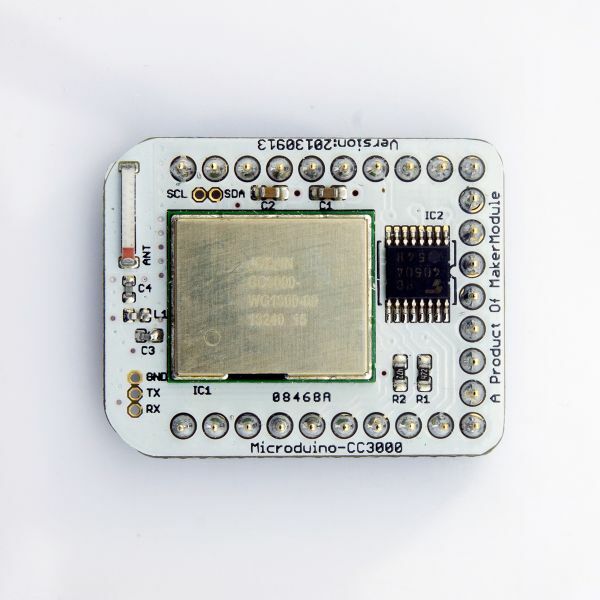 Set up the quick connection with other Microduino modules and sensors easily and flexibly. 2.54 pitch row female connector for easy integration into breadboard. SimpleLink ™ Wi-Fi SmartConfig ™ technology is an unique one-step activation process of Wi-Fi, the developer or end-user could configure current wireless network through other devices, such as smart phones, tablet PCs installed SmartConfig App program, and through the program CC3000 is equipped with a hardware circuit. The configuration information of Wifi environment includes SSID, wireless password, security authentication, and so on. Just one simple step can make no more than one display device connected to Wifi network to solve wirelessly connect to your home network and the cloud. Make sure +3.3 v power supply current can reach 200ma, not recommended for using FT232R debugging directly because FT232R output +3.3 v current is too small. The FT232R datasheet says you can draw up to 50 mA from its 3.3V output. 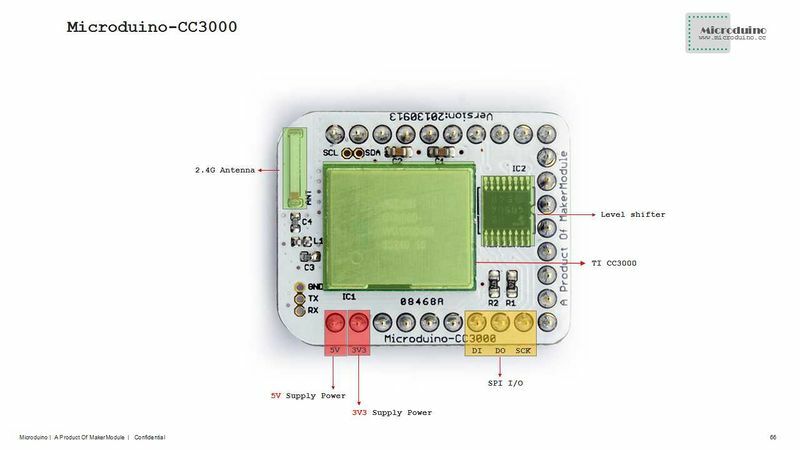 CC3000 patch libry is used for upgarde the firmware and can't run it with Adafruit_CC3000's libray. Add this “ || defined(__AVR_ATmega1284P__) || defined(__AVR_ATmega644P__) ” in the tial of the last line. When using CC3000PATCH, please make sure any other cc3000 library should be removed to avoid conflict. And recommend use "Aroduino 1.01 or upper release", if you are using lower release, please re-install it again from zero. This page was last modified on 27 July 2016, at 02:59.